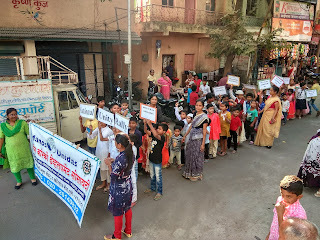 25-January-2019, Koregaon Park (Pune): The Don Bosco Development Society, Koregaon Park organized a rally on ‘National Unity’ on the occasion of Republic day at Nagpur Chawl slum in Pune. 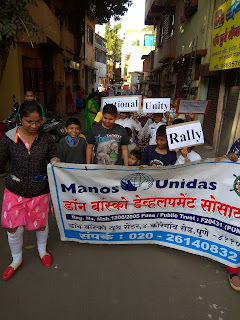 More than 100 children participated in this rally which was organized under the aegis of ‘women empowerment project’ supported by Manos Unidas, Spain. 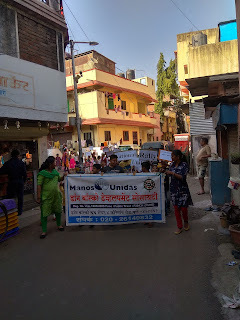 Rally started at 4.00pm from Ajantha Samaj Mandir and went around the lanes and by-lanes of Nagpur Chawl slum. Participants carried paper banners, placards with message on national unity. 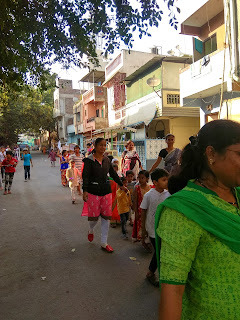 They shouted slogans on the way to give message and create awareness on this issue. Mr Nagsen Chavan (Coordinator-DBDS) and Nilima Chandhare (Staff-DBDS) gave a short speech on the topic of the rally. All the DBDS staff participated the rally.